← Racist, Ignorant People Can Be Oh, So Amusing! 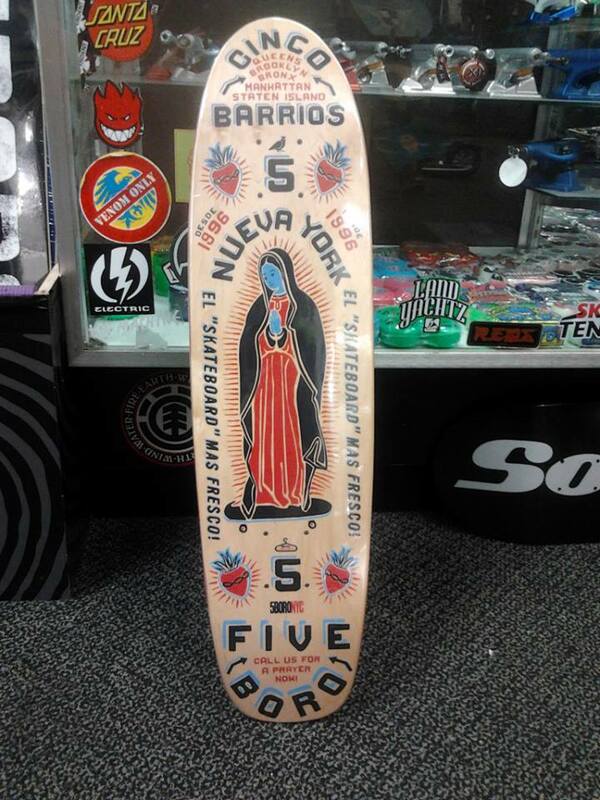 My friend Diego Olivé spotted this “cute cultural hodgepodge-Latinocaliente skateboard” at a local sports store in Union Square, so I wasted no time in asking his permission to steal this beauty. And why not? It so perfectly embodies everything that is awesome about living in New York City. This entry was posted in Fashion, Marketing & Advertising and tagged Bilingualism, multicultural, New York City. Bookmark the permalink.